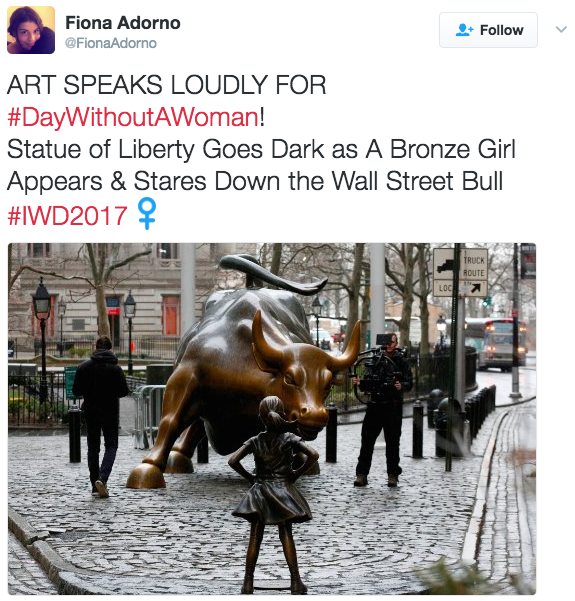 David Badash contributed an article to thenewcivilrightsmovement.com describing the extraordinary Guerrilla Marketing stunt that was installed in new York on international women’s day yesterday. The Wall Street Bull is one of the most iconic pieces of art in America. It sits at the intersection of Broadway and Morris streets, steps away from Wall Street in Bowling Green Park, part of the world-famous Financial District in New York City. Tourists from all over the world come looking for the bronze bull. It’s an impressive structure, placed illegally on the small park’s cobblestones after the market crash of 1987, to bolster the spirits of traders and to show a defiant American spirit. 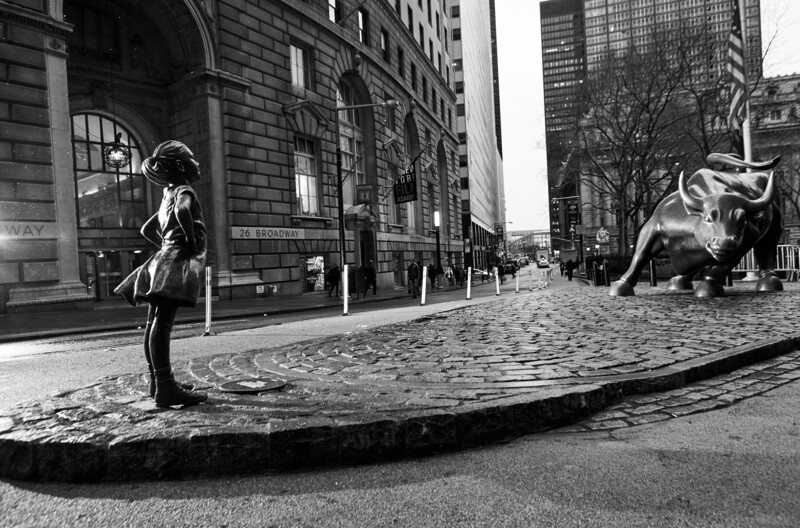 In honor of International Women’s Day, a $2.5 trillion global investment firm commissioned a copper statue of an equally defiant girl, and placed her several yards in front of him, arms on her hips, staring down the symbol of Wall Street. It’s an important statement. State Street wants more women on the boards of directors of the 3500 companies it invests in. The Wall Street Bull was guerrilla art – despite its 7100 pounds and $360,000 price tag, it was dropped on the park without a permit or city approval. Residents demanded the city let it stay, and the City of New York acquiesced. 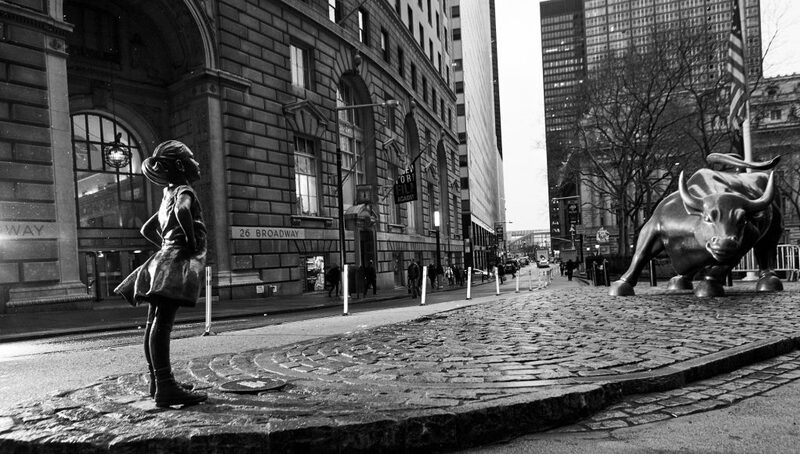 State Street’s Fearless Girl is Guerrilla Marketing, or Viral Marketing, as Axios notes. While McAnn NY, the advertising agency that worked with State Street on the project was able to obtain a permit, it’s only for one week. They’re hoping to get an extension.